Have you ever heard of Ride & Tie races? We can't necessarily blame you if you haven't, but they're worth knowing about. 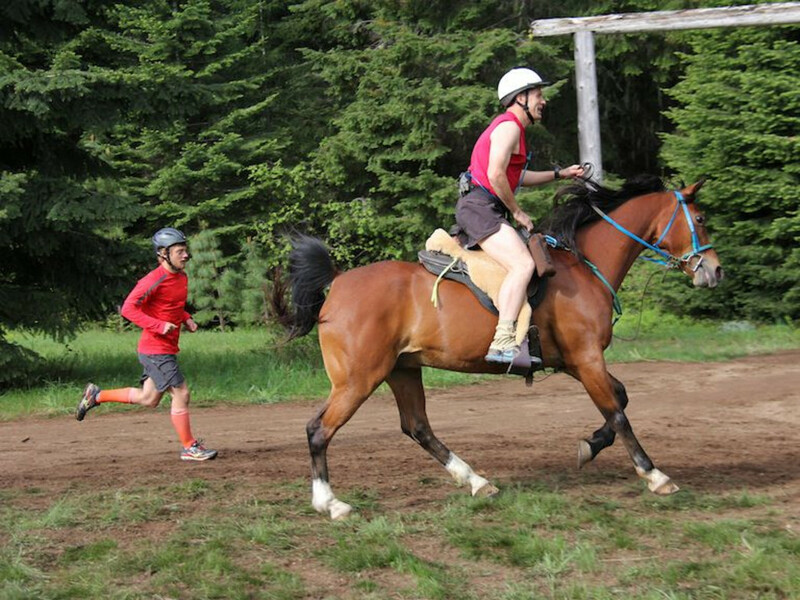 It’s a two person, one horse endurance race that combines the strength and agility of all three participants. Ride & Tie has actually been around a long time and was promoted during the 1970’s when Levi Strauss sponsored races to highlight the rugged appeal of their jeans. The race has since been gaining in popularity over the last few years, especially in California. If you want to see what the buzz is about first hand, there will be a Ride and Tie event Saturday, May 17, at Mt. Adams and Trout Lake. 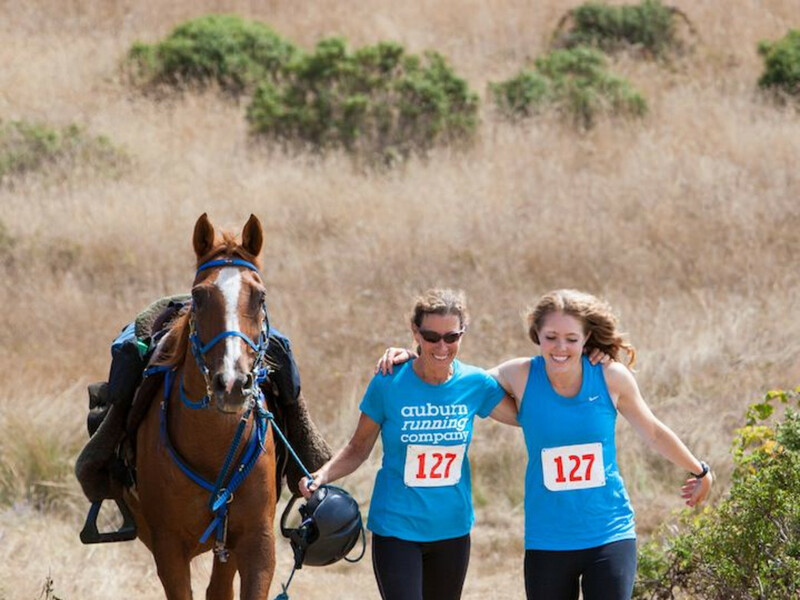 How it works is that each runner/rider takes turns on the horse and the three make their way through the trail as fast as they can. 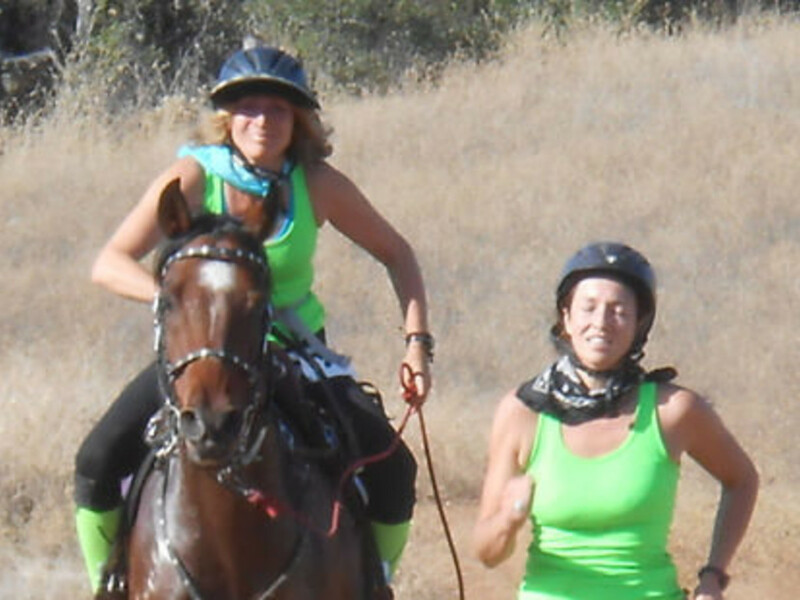 One rider gallops ahead, then ties the horse to a tree and runs about a mile ahead on foot while the other runner catches up to the horse and repeats the process, leap-frogging their way over a 20-100 mile course to the end, when all three cross the finish line. 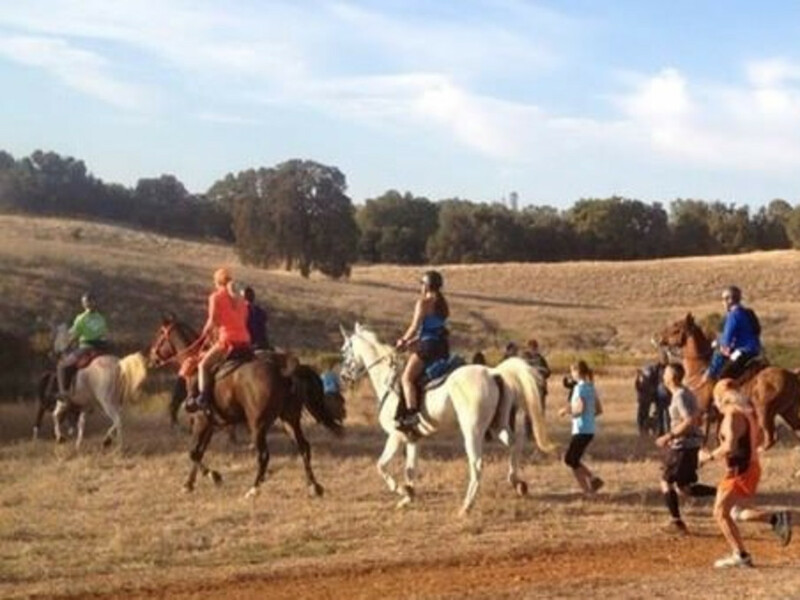 A host of interesting challenges present themselves, like the possibility of hopping on the wrong horse, running right past your own horse, having the horse coming untied and taking off or spooking, and the usual issues with trail running, like injury. It requires a different type of forethought and strategy and a completely different way of paying attention. If you’re wondering if the horses enjoy it, riders say their horses can’t wait to go. 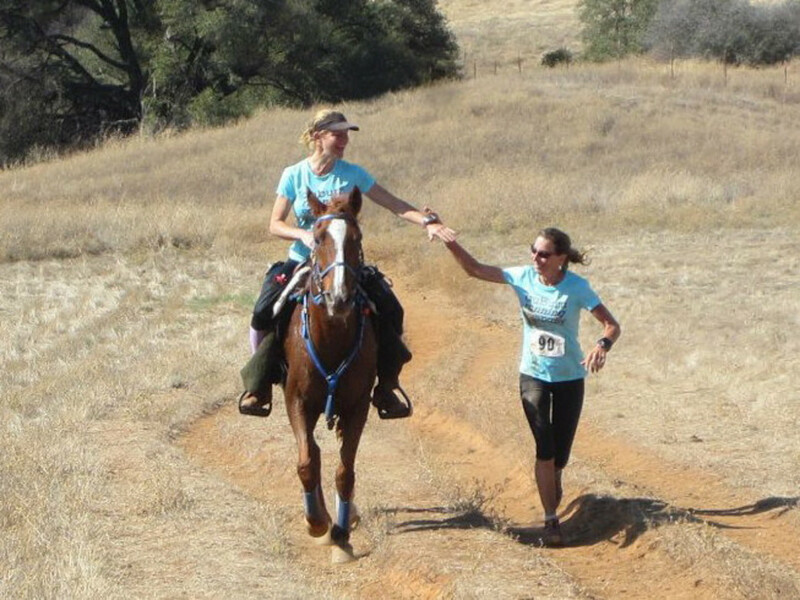 There are vet checks along the way to make sure the horses are doing alright, and many runners run alongside the horse a good 20% of the way to take it easy on the horse. Horses know exactly who their teammates are, and work deliberately together with riders to get to the end. It’s a popular event for trail runners looking to spice up the experience. The horse adds a new dimension, requiring different skills. It also adds a new layer of fun to trail running. Horses are exciting to be around, and they add an emotional bonding component to the competition where the emphasis is more on finishing, not necessarily winning. 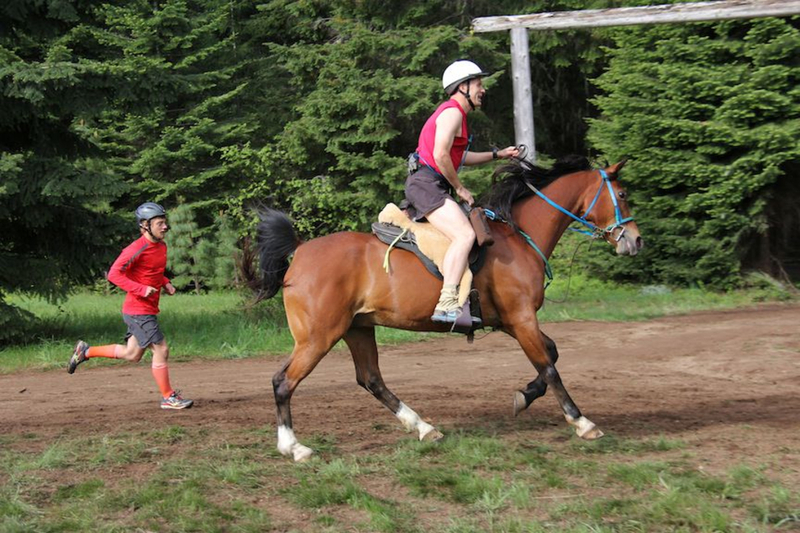 Ride & Tie is a family-friendly event that is free to watch, and signing up the day of the race is permitted; you just need to arrive at least two hours in advance, so that your horse can pass the vet check. Mt. Adams is an ideal place to experience Ride & Tie. In fact, the president of the series, Ben Volk, says Mt. Adams is his favorite location for this event. “I did my very first Ride & Tie at Mt. Adams in 2006 and have completed 36 events since then, including six championships,” says Volk. “Mt. Adams has always been my favorite course. If you come to the event, the camping is free in the Mt. Adams Horse Camp . There’s no drinking water, but plenty of water for the horses! The views of Mt. Adams from the horse camp are absolutely stunning.” There is so much to do in the Mt. Adams vicinity; you could easily make a weekend of it. View the race flyer HERE , and read more on the Ride and Tie website HERE .